Hey did you hear of the debate over which character is the most favorited?? 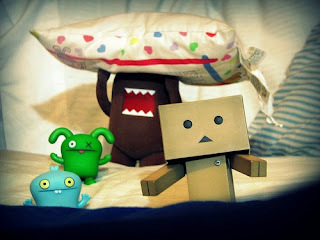 So far the 2 most discussed is domo and danbo. I love these guys, they are so cute. So now i want to know which one you like more. Please comment and say which one you like more, or i have a poll on the right side where you can vote and tell me which one you like more. :] Well I'm looking forward to seeing the results so please vote. I'll start it out by voting for danbo! He is so cute. :D Anyways I hope you like the post. Hi :] Now that its christmas, the only thing I can think about is christmas treats. I can't wait for the ginger bread houses, the rispy treats and mostly the candy canes. 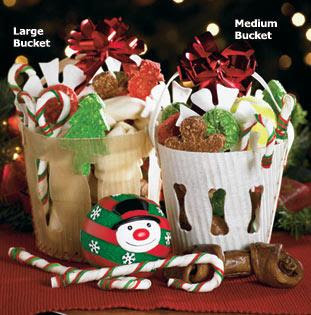 My pesonal favorite is the strawberry, and chocolate flavored candy canes. But of course Christmas is not all about the treats, you should also take some time to sit down and enjoy the Christmas dinner with your family. Christmas is kind of like Thanks Giving where you stop for a day and think about all the things in life that you are thankful for. And when you take a day to realize that life is great no matter what because your life is full of people that love you. But then again treats always help make things better. :] Also if I know this website that has lots of awesome pictures for Christmas and since it's the season of giving and sharing imma give/share with you the website I know. Also if you're interested in listening to any of the songs I mentioned above, here's a link. Which one do u love more? ?